We have now added Microsoft Office 365 on our overview page. There are two ways to access it's management portal. You will be redirected to Manage page where you can manage your existing O365 Users(Tenants). Kindly refer below screen. Upon clicking on add menu, You will be able to add new Office365 user as per your need. Kindly refer below screen. Phone - yours/primary admins phone. 1. 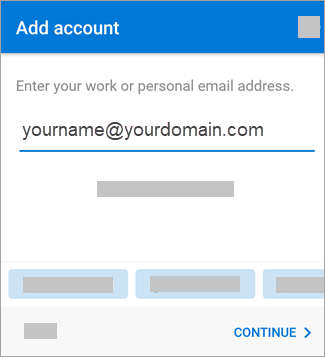 O365 Username : This will be your default admin username used to login to the Office 365 portal. It should always include the domain, onmicrosoft.com. Why? Office 365 creates a domain for you, like contoso.onmicrosoft.com, when you sign up with the service. The user ID that you create when you sign up includes the domain, like alan@contoso.onmicrosoft.com. This can be changed once you are on the Office 365 Admin panel, which will be discussed in other topics. 2. Password : This is the system generated password for your Office 365 account. 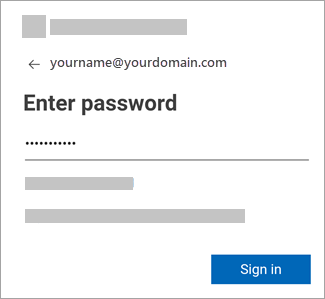 Please note that this is just a temporary password given to you for your O365 account. 3. O365 Link : This link redirects you to the Office 365 portal. Just click on it to open a new window or tab to sign in to your O365 account. Another way to do it is by going to https://login.microsoftonline.com/ or https://portal.office.com. 4. Licenses : These are the license count for your O365 account. You can add and reduce licenses depending on your needs. Just hit the save button at the bottom once you are done editing your license count. A more detailed guide will be provided. To manage your licenses kindly navigate to Manage page -> Click on Username. Kindly refer below screen. As discussed on the above step, when you click on the O365 link, you will be redirected to this page. Just sign in with your username and hit next. Enter the password and hit Sign In. The next page will ask you to change your temporary password. Type your current password on the first box, then the new password on the next two boxes. When successful, you will be redirected to your Office 365 tenant account. Your purchase products will be listed on this Dashboard, and we will provide a more detailed guide to assist you in managing your O365 account. To set up email account on a mobile device an app with MAPI protocol support is needed (Outlook mobile app recommended). 3. Window similar to one from a web browser will appear prompting for password to the account. 4. After inputting password you can add another account or skip this step. NOTE! Shared mailbox cannot be added to a mobile device.